Varjo Technologies, the Finnish startup that made a splash earlier this year with news it had developed a virtual reality headset capable of “human-eye resolution,” has raised $31 million in Series B funding. Leading the round is Europe’s Atomico, with participation from Siemens-backed venture capital firm Next47. Existing Series A investors EQT Ventures and Lifeline Ventures also followed on. It brings total funding for the Helsinki-based company to $46 million. Founded in 2016, Varjo (which means “shadow” in Finnish and is pronounced “Var-yo”) aims to bring to market “the world’s first” human-eye resolution virtual reality (VR) and mixed reality (XR) product, which will be orders of magnitude higher in resolution than existing consumer headsets, such as Magic Leap or Microsoft’s HoloLens. However, unlike those existing devices — and courtesy of a claimed 20x bump in resolution — Varjo is targeting industrial use-cases for its wares. In a call, co-founder and CEO Urho Konttori — who was previously at Nokia and Microsoft, where he played a pivotal role in the Meego N9 smartphone and the high-end Lumia devices, respectively — told me that Varjo is looking to sell into “design-driven” industries including simulation and training, architecture, automotive, aerospace, manufacturing, engineering, and construction — along with industrial design more generally. These use-cases require VR and XR to mimic the human eye as closely as possible, and demand “extreme precision” and visual fidelity. Konttori says the status quo in resolution is like asking designers or engineers sporting headsets to work or train “half blind”. In contrast to existing lower resolution headsets, the startup’s prototype already claims “an effective resolution of 50 megapixels per eye”. But to really understand the impact Varjo hopes to make, consider how complex design and engineering projects are undertaken today. In car design, for example, clay models are still used at key points of the design stage and form an important part of the creative loop. However, producing these slows down the design iteration process and in some ways stifles creativity because of the lag between tweaking a drawing or 3D CAD file and experiencing it in clay form in real life. Moving this to a high resolution virtual reality domain via VR and XR will remove this obstacle and enable designers to take more risks and try new things. This, in the longer term, should lead to better design and more innovative products. What is also noteworthy, given VR and AR’s penchant for being the promise that keeps on promising, is that Varjo isn’t a “moonshot” investment, even though Atomico does do moonshot investments from time to time. 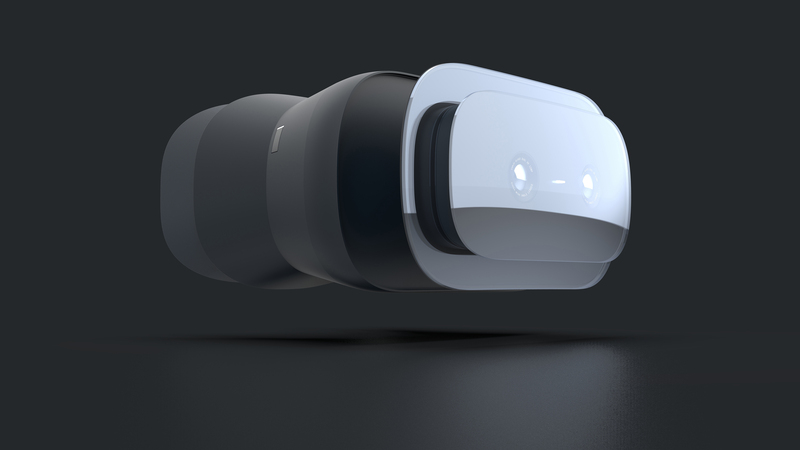 Instead, the company says it is on track to commercially launch its VR headset later this year, with an AR/XR add-on to the headset available in the first half of 2019. I’m also told it is already working in partnership with companies such as Airbus, Audi, BMW, Volkswagen, and Lilium, who have had early access to prototypes and have been feeding back and helping iterate the product. After I note that it is refreshing to see a new hardware company based in Europe, and that Varjo, with its ties to ex-Nokians, appears to be benefiting from European hardware talent, Konttori says that European VC firms have seemingly lost their appetite for truly innovative hardware. In Varjo’s case, he says Atomico was the exception, and that — along with flying taxi company Lilium (which Atomico has also invested in) — he hopes it can be the start of a European hardware startup renaissance.